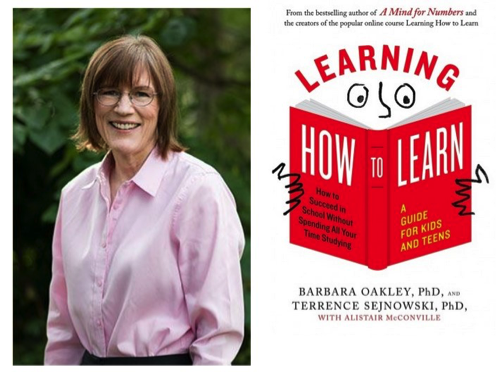 Monta Vista PTSA and Kennedy PTA invite you to attend a presentation by Dr. Barbara Oakley. Professor of Engineering and linguist Dr. Barbara Oakley, is the instructor of Learning How to Learn (University of California-San Diego – Coursera), one of the world’s largest student massive open online course, with over two million students. In this presentation, she delves deep into the brain to present practically useful information about how students (and parents!) can more easily master new and difficult material. Learn from a neuroscientific perspective why it’s perfectly normal to not understand something difficult the first time you encounter it. You’ll see how to leverage your knowledge of how your brain works to do better on tests and to inoculate yourself (and the children in your life) against feelings of frustration and failure when something seems difficult to learn. See what the patterns of expertise look like in the brain, and learn how to build those patterns more quickly and with less frustration. Learn the surprising advantages of having a bad memory and sometimes being a slower learner. Dr. Oakley’s previous book, A Mind for Numbers, is a New York Times and international best-seller translated into over a dozen languages. Her most recent book is the popular Learning How to Learn: How to Succeed in School without Spending All Your Time Studying; A Guide for Kids and Teens.